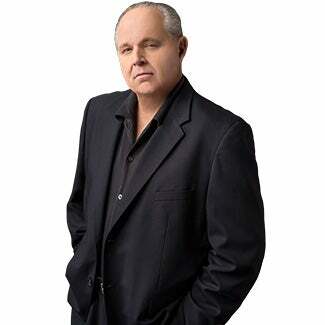 RUSH: Have you heard about — I saw this last week, and I didn’t say anything about it. I’ve been patiently waiting. It’s one of the things where I had an initial reaction to it, but I wanted to wait and see if my instincts were borne out. And I can safely say today that my instincts were borne out. You may have only heard about it this week. Late last week a couple of researchers from Harvard discovered a long-lost copy of the Declaration of Independence in a records office in the U.K. It was a parchment copy. Nobody said that it was an original. Nobody said that it was anything other than a copy. But it does contain differences. I saw “Harvard Researchers Discover.” And I thought this is a potential time bomb. I began to think, how many Americans, how many people living in this country know what the Declaration of Independence is anymore? I’m not kidding. How many know what the Constitution is? Not know what it says; how many know what it is? So here’s the Declaration of Independence, and a new copy has been found by a couple of people at Harvard. And my concern is, what if it’s a little different, or what if it contains different structure? What if these people try to say that this copy of the Declaration dramatically changes what we thought we knew about the original Declaration and thus how this country actually came into existence. ‘Cause you know as well as I do that there is an entire industry of anti-American activists, predominantly in the academy, college campuses, who are devoted to establishing the illegitimacy of the United States of America by virtue of its founding. “A bunch of dead white guys who owned slaves founded America,” they say. “How can it possibly be legitimate? A bunch of dead white slave owners and you’re telling me I have to abide by that?” Which is a common refrain you hear in college classrooms today. So an effort is underway and it’s been underway a long time, and it’s intensifying, to delegitimize this country starting with the founding. Now, the Declaration is not a founding document in the sense that it does not contain any statutory law, does not contain any constitutional structure of the government. It simply declares our independence, and why, from the oppressors in the U.K., in England. So I’ve been reading about it and it turns out my suspicions are somewhat justified. One of the Harvard researchers is trying to say, because of the way on this copy the signers’ names are allocated — it’s a horizontal copy, not vertical. And the signatures of the signers are on this document randomly. You might say, “Well, so? What’s that got to do with anything?” Well, let me just tell you. Was the country founded by a unitary national people or by a collection of states? See, the Declaration, the official Declaration of Independence has the signers grouped by state, and that implies that it was a state-by-state effort that was actually not signifying a national, whereas this copy has people randomly sign it with no indication at all that there is any purpose to it or any order, there’s no mention of states from which they’re from. It is? We have a key riddle of the American system? We’re still unsure what happened and why? You mean, there’s still a chance we can find documented illegitimacy and maybe we can show that some of what we know should be discounted because of this copy that we found? I have to take a break. I’ll continue with this. RUSH: What is the riddle that has bedeviled American history? I’ll bet this is gonna be the first time you’ve heard of this riddle. One of the Harvard researchers is pointing out the differences in the second copy from the official Declaration. We’re talking about a copy that is being given weight equal to the original, even though there are differences. This is the first thing that caught my eye of suspicion. Danielle Allen says that this copy where the signers are not grouped by state and are just applied randomly to the document illuminates the politics of the 1780s in a flash. Yes, you see, the list of signatories is not grouped by states. That supports the notion that the Declaration’s authority rested on one united people, not a collection of states. Let me translate. The Harvard researcher is suggesting the second copy blows to hell the whole premise of federalism and establishes an all-powerful command-and-control one unitary central governing authority. And the states, to hell with ’em, all because in this copy the signers did not group themselves by state nor are the states from which they hail mentioned. She says, “This parchment manuscript eliminates in one stroke how the Federalists and the anti-Federalists debated the question of whether the new republic was founded on the authority of a single united, sovereign people or on the authority of 13 separate state governments.” You ever heard of the Constitution, Danielle? For crying out loud, it’s a copy. Look what they’re trying to do here. Where has this thing been, anyway? In some whaler’s cabinet over on the coasts near the white cliffs of Dover in the U.K.? Well, what are we talking about here? RUSH: Now, I just want to close the loop on this and try to answer any questions you might be asking relating to confusion. There is one man, one of six people who signed both the Declaration and the Constitution, his name is James Wilson. James Wilson was a lawyer in Pennsylvania, and at the 1787 constitutional convention, he was a huge advocate for nationalist government to come, the United States. And so he is a source that these two Harvard researchers are looking back to to try to translate the meaning of this copy of the Declaration where the signers’ names are randomly placed with no mention of the states. And they are using Wilson as their evidence that there were serious arguments going back and forth over whether or not the United States was going to be a single national government with the states having no authority or power whatsoever. Or whether we were gonna be a union of 13 states with individual power and the federal government only doing those things that the states could not do, which is a fairly decent definition of federalism. And the riddle, what was intended — I find it fascinating that a bunch of researchers here are trying to find the original intent. You let a judge do that in terms of the Constitution and they want to disbar the guy and throw him out of the courtroom. But these people are actually trying to find, if you ask me, what they’re trying to find here is evidence that the Founders, the people that signed the Declaration and wrote it, actually intended there to be a giant one, big, humongous national government with no federalism whatsoever. And Ms. Allen, “I was on pins and needles. I thought we would turn it over and the back would say, ‘Ha, ha, we fooled you! '” She was looking for substantive differences in a copy, not the original. “I just kept staring at it. There was no discernible order,” in which the names of the signers were on this copy. “That random order, Ms. Allen and Ms. Sneff argue, was meant to send a political message: The signers pledged ‘to each other our lives, our fortunes and our sacred honor,’ as the last line puts it, as individuals, not as representatives of states.” And that message, they argue, points back to this Wilson guy, James Wilson, big nationalist, one of six people to sign both the Constitution and the Declaration. I’m telling you, folks, keep a sharp eye on this. This is something — it’s not gonna have a whole lot of weight. It’s gonna get thrown in in the ongoing, developing premise that the United States is illegitimate, that the founding of this country is illegitimate primarily because a bunch of dead white guy slave owners wrote the thing. There are other reasons for it. But this will get thrown into the mix, and all they want to do is create doubt. Remember what’s going on here is a total lack of respect for the authority that is the Constitution on the part of the left in this country. It’s not that they wish to have a debate about things. They’re just refusing — the way they treat Trump — they’re just refusing to accept the authority of elections, the authority of the Constitution. The reason this bothers me is we’re talking about a federal budget of over $3 trillion. This is one measly billion that Trump wants for the wall, and Democrats say, “No, no, we’re not gonna do it, and we’re gonna shut down the government and blame you for it.” Trump says, “Okay, okay, I’ll move it. I’ll think about moving it back to September.” And once the president indicates that he can be moved, that he can be taken off of his position with simply a threat of a government shutdown, they’re gonna keep doing it. RUSH: Joel in San Diego, as we start on the phones. Welcome to the program, sir. Great to have you here. CALLER: Good afternoon, Mr. Rush. Just a quick comment for you. CALLER: About your Declaration of Independence story. To me, in the 1770s there were no copy machines so it makes complete sense for there to be multiple copies and I’m surprised that there’s actually not more. Each delegate potentially had to take a copy back to their state. There had to be copies sent to England for the king to see. So for there to be one new copy that has different signatures in a different order to me makes complete sense. There’s no new story. RUSH: Well, here’s the thing. There is a project to find all the copies, and your instincts on this are right on the money. There were, so far, the database that houses the copies of the Declaration that have been found, there’s 306, 306 copies that were made between July 4th, 1776 and 1800. The parchment original that’s at the National Archives was signed in early August of 1776, nearly a month after Independence. So they’re constantly searching for copies. This is just the most recent one that has been found. It’s not the only copy that’s been found. It’s the most recent one, which is the point. I should have made mention, this copy was made 10 years after the original was signed in 1776, as best we can tell. So something that was copied 10 years later is now being given weight. Simply because of the way the signers appear on this copy is now being given weight that it might contain some deep meaning that might give us a further understanding of what the original intention of the founders for this country was. Look, you have a bunch of leftists searching everywhere they can for evidence that socialism and one giant, big government everywhere is the answer. And they would love it if they could find evidence or convince you that they have found evidence that even the Founders of the United States knew of the greatness and the potential of a single all-powerful government. You have to put this in context with everything happening today. We’re in the midst of the country unraveling, folks. My friends, the left in this country is attempting to delegitimize everything about the United States. They are attempting, whatever you want to call it, a takeover or a delegitimization of the status quo, whatever, a peaceful overthrow, whatever you want to call it. This is more than just your standard, ordinary, everyday in-and-out political disagreements and debates and arguments. Because what’s happening now — I’ll get into this later in the program — the New York Times had an op-ed, not a news story, on page A-99. They had an op-ed, a sanctioned, therefore, opinion piece by a university professor actually advocating for the end to free speech. That the snowflakes on college campus are exactly right, they are way ahead of the game. The snowflakes on college campus know full well that there should be censorship of political speech. There should be censorship of speech that makes people feel uneasy and uncomfortable. It’s the most outrageous thing you’ve ever seen, but if you put it in context with what’s going on, it makes perfect sense. Look, these people have always been there. This is a fundamental point to make. There’s nothing new about these people. There’s nothing new about America-firsters. There’s nothing new about blame-America. There’s nothing new about a significant population of the country hating it. That’s not new. What’s new is that the Democrat Party has totally embraced this movement. The Democrat Party is an obstructionist party. The Democrat Party has now become the home. These people used to just be a bunch of renegades who were members of the Communist Party USA or a radical labor union here or there. But now the Democrat Party, one of the two major political parties in America has totally embraced the current evolution of progressivism that says America is inherently flawed and needs to be, what, overthrown, disbanded, reconstituted, whatever you want to say. And one of the ways they’re going about it is prohibiting any speech they think undermines their cause, which happens to be speech that would happen here on this show or on Fox News or in conservative magazines. We have the New York Times actually publishing an op-ed yesterday which explained this, justified this, made the case for the explicit censorship of political speech. And that’s all it will take, because this movement is irrational. There’s nothing intelligent or rational about this movement at all. The fact that this is a 10-years-later copy, we can take care of that. Remember, they have a media that lies day in and day out for them to advance their agenda. RUSH: This story about the Declaration today, it’s exactly why we wrote the five series Rush Revere Time-Travel Adventures with Exceptional Americans. They are history books for young people to counter this cockamamie BS students are inundated with every day, literal lies about the founding of the country. RUSH: Charlie in Atlanta, glad you waited, sir. Welcome to the EIB Network. Hello. RUSH: Yes, sir. I want to start off by saying I’ve been listening to your show for a long time, and my father was the one that got me started listening to you. He has since passed away but he served our country, a fighter pilot in the Navy, and he loved your show because he thought this was the greatest country that had ever lived. And he loved how you proudly, as loudly as you could every day, talk about what a great country this was, so I just wanted to pass that along. CALLER: You brought a lot of pleasure and happiness. Three points I want to make about the copy of the Declaration of Independence that they just found in England. CALLER: I think you made some really good points about how the left would use this to try and undermine the very principles of the founding of this country. So I guess the first thing that comes to mind is the Articles of Confederation, where the first attempt to form the government intentionally gave the states the overwhelming majority of power, okay? RUSH: It’s addressed in the entire Bill of Rights. That’s the whole premise. You have nailed it, limiting the power of the federal government. They had just declared independence from a tyrant. They did not want to replicate that circumstance. They didn’t want to create a government that would gravitate to that any time soon. You’re absolutely right. You nailed it. CALLER: So then I guess the last point, as you have so accurately said with climate change, science doesn’t matter. Unfortunately, with the left and with liberals, historical facts don’t matter. So they won’t let anything like evidence like the Articles of Confederation and the Tenth Amendment or the Bill of Rights get in their way of trying to undermine the founding of this amazing nation. So it’s frustrating, but if we can’t fight them on facts and history, we’ve gotta fight them at an emotional level and try to make people understand how wrong they are. RUSH: Right. That’s a very good point, because in the realm of facts, there is no way that you could sell even to the idiots that they’ve educated in this country, there’s no way you could sell that a 10-year-old copy is what the original was meant to say. You couldn’t do that. So what do you do? Well, you place it in context of your movement at the moment. Your movement at the moment is the undermining of the Constitution. I’m talking about the radical left here. Your movement is to undermine, transform, overthrowing, whatever, reconstitute the United States. And they’re somewhere along the line already. I mean, look at how they’re succeeding in suppressing speech on college campuses. Look at how they have just rejected the authority of elections, they don’t respect it. They lose elections. The hell they do. They act as though there was a fraud, something illegitimate happened and they’re still in power and they operate and run that way, and they make you prove that they lost. And they’re constantly actually demanding that we prove that we won by claiming everything about us is fraudulent. When they win, that’s the authority they respect. They only respect their own authority. They don’t respect the authority of the Constitution. It explains why Obama felt free to violate it as frequently and often as he could, particularly in the area of immigration. You look at now when this administration is simply trying to enforce existing law, immigration law, there’s nothing new yet; there’s no new immigration law. It makes it look like there is because all that the Trump administration is doing is enforcing existing law that has not been enforced in years, and it looks like a massive takeover has already happened in the realm of immigration law when nothing’s changed, other than the enforcement. You just simply have discussions on it. And it slowly begins to seep and creep into the viewer’s consciousness, that maybe we’ve got it wrong and this movement to overthrow and alter is simply trying to get it right. And what the Founders originally intended was a gigantic, totally encompassing, powerful federal government with no states’ rights whatsoever. And then you have university professors start to teach this in their literature courses and their political science courses and home economic courses, whatever. And that’s how it’s done. And it’s a long-term project. And as backup, you have this copy of the Declaration that was found, and it’s always the source you go back to. “Well, look, the signers on this thing did not sign it like the original. They signed it with no mention of their states, and it’s in random order, and what we think that means is that the signers actually intended that — they were signing as members of a giant, singular government, not representatives of states making up the union. And it just starts. RUSH: Here is David in Atlanta. Great to have you, sir. How you doing? RUSH: That’s what being reported. It’s a copy of the Declaration that was made 10 years after the original. CALLER: Right. Right. So what was the purpose of this Declaration being copied like this? To me it almost sounds like, in a sports analogy, it’s like a commemorative game ball. It was being made as a gift for someone. So the signatures would not necessarily be in the exact same location on every single game ball. RUSH: Oh, you mean like a fake Tom Brady jersey? RUSH: Yeah, yeah, yeah, okay, I gotcha. CALLER: So it’s not necessarily — if it’s a word-for-word copy, yes it’s a copy of the original, but the signatures themselves have no mean simply because they’re in different locations. RUSH: Right. But that’s what the researchers at Harvard are saying. The researchers at Harvard are saying, “Oh, no, where these signatures are and how they’re there is very, very meaningful.” Hmm? CALLER: It is possible to overthink something. RUSH: They’re not overthinking anything. They’re not overthinking a damn thing. Well, in a sense they are. They’re not overthinking anything; they’re plotting. RUSH: They are — what’s the word — not conniving. They’re testing. What do you call it when you — a trial balloon. They’re floating a trial balloon to see how many people they can get interested in the possibility that there’s something we could learn that might change the way we think about the founding of our country. That’s all they want to do. That’s all they want to do. Create doubt about what we think we know about the founding of the country. ‘Cause remember, now, I don’t know about these two researchers, but the people that are gonna use what they found are the people who believe the United States is illegitimate and unjust and immoral, and anything they can use to plant seeds of such doubt in the minds of young skulls full of mush and low-information voters just helps them advance the agenda.